You hear all the hype and people talking about OCF or off camera flash. But how does it work and how do you get started? With so much hype you’d think it was rocket science, but don’t worry, it’s not at all. Here we’re going to look at how to take your first steps into off camera flash. Nothing too complicated, just an introduction to get you started so that you can then move onto the really exciting stuff later on. So, off camera flash is just a term for using a light source off camera. In other words, not your pop up flash or one that is attached to the hotshoe of your camera. For the purpose of this article, we’re going to keep it simple and just talk about using flashguns as off camera flash. Also, we won’t get into manual settings for flash, so we’ll just look at using flash in TTL (Through The Lens) mode. 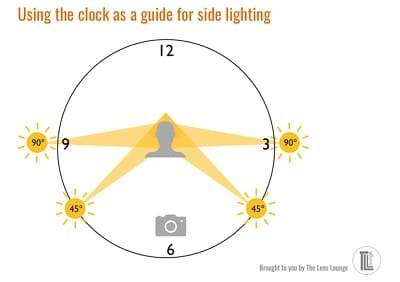 To help with where to place the flash, download our helpful lighting clock cheat sheet. TTL stands for Through The Lens and means that your flash will do the hard work of calculating the power output so that you don’t have to. You just need to concentrate on where you want to place your flash and how to fire it. It’s a control thing. You can’t rely on natural light to show up exactly the way you want it in exactly the place you want it. What if the light is coming from the side of your subject? Half of them will be in shadow. You can use off camera flash to light the shadows. In other words, use it as fill flash to fill in the shadows for a more flattering light. If your subject is in shadow and your background is in shadow, the lighting will be flat. Lighting your subject with off camera flash will make them stand out in the photo and separate them from the background. The best way to freeze motion is with flash, but it doesn’t look good when it comes from on top of your camera. With off camera flash you have the option to freeze the motion and light your subject from a flattering angle. 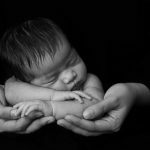 Create striking images by backlighting a subject, as in the image below. Or what if you want to photograph somebody facing you, in front of a great background with the light coming from behind them, and you want to light the subject? If you expose for your subject, you’ll blow out the background. If you light your subject though, you can have a well exposed background and a well exposed subject. Ultimately, you’ll spend a whole lot less time working an image on the computer afterwards. So, it is all very well saying take your flash off camera, but how do you stand it up? There are a number of options. The cheapest and easiest method is to use the flash stand that came with your flash – if one was included with your flash of course. If not, or if it has gone missing, they’re not expensive at all, so you can easily buy a replacement. Once you slide your flash in, it can be positioned on any flat(ish) surface. Even better, if you flip it over you’ll see a thread underneath. This can be screwed onto a tripod or GorillaPod. Another method is to purchase a hotshoe mount, which can be screwed onto a tripod, GorillaPod or a light stand adaptor (preferably with an umbrella bracket) and then fitted to a light stand. Nikon speedlight stand. The image above on the right shows the thread underneath the stand for fitting to a tripod etc. Whilst flashguns are incredibly easy to carry around, making them a very versatile and an easy source of light, they do have their limitations for off camera flash. Flashguns sync to your camera at a maximum shutter speed of 1/200 or 1/250, depending on your camera. So, as with using flash on camera, you can’t go above the max sync speed of your camera. Unless you have high speed sync capabilities. Even with the better quality flashguns, they aren’t incredibly powerful, so when used outdoors in sunlight they may not be powerful enough for your needs. You can, however, add more flashguns to the shot to get more power. It takes time for a flashgun to recycle once fired, so you will need to wait a few seconds between shots. This will vary from one flashgun to the next, with the more expensive models having a faster recycle time. How do you take a flash off camera? I’ve listed them in my preferred order, ending with my favourite method. This method is really easy and simply involves buying the cord which you attach to your camera and to your flash. The disadvantage of this method is that you’re limited by the length of the cord. This is a fancy way of saying use a flash to trigger another flash. In this instance we’re talking about using your pop up flash on your camera to trigger a flash off camera. If your camera has the ability to use the pop up flash as a trigger, then this is a really easy way to get started. 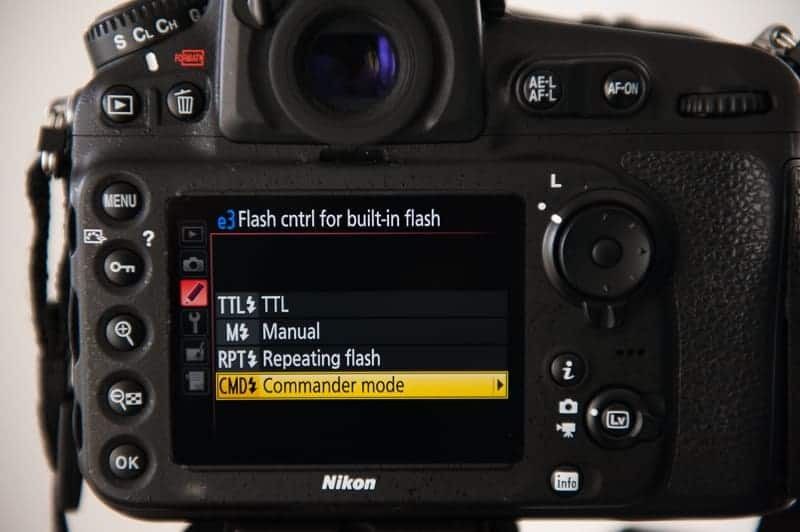 In order to use your pop up flash as an optical trigger in commander or master mode, you need to set it up through the menu. 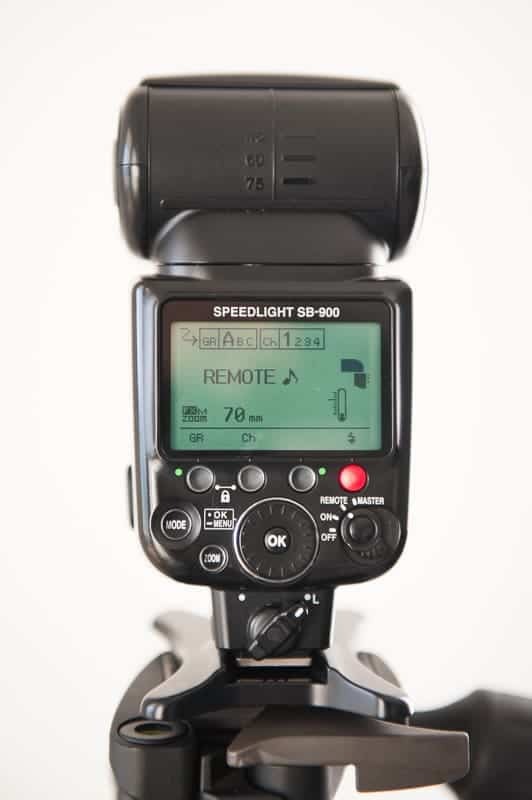 You can set it so that it doesn’t actually light your subject, but sends out enough light to trigger your off camera flash. 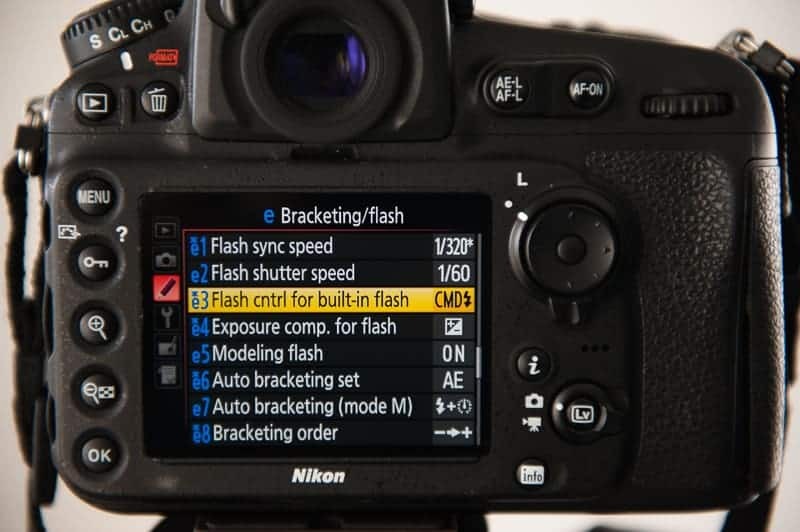 The disadvantage is that it applies to branded equipment, so a pop up flash on a Nikon camera will remotely trigger a Nikon speedlight. Likewise for Canon speedlites etc. The terminology and steps will vary from brand to brand, but it is basically the same. It works over a limited distance. The distance varies, but the range is up to 10m (33 feet). It won’t work if there are obstacles between the transmitter and the of the flash or if the flash is too far to the side. Bright sunlight can prevent it from working. 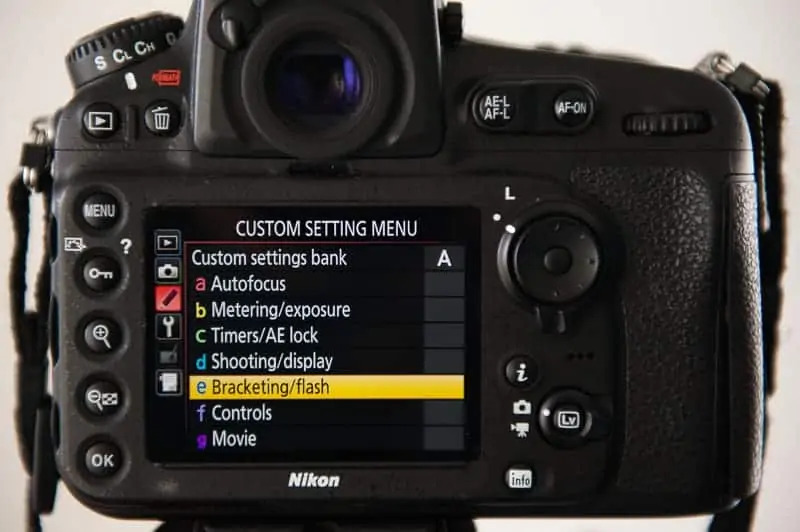 Go to the custom setting menu and select bracketing/flash. Then select flash control for built-in flash. Then select commander mode to open up the next menu. 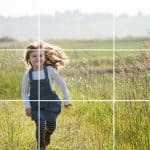 Here, use the dial to select - - for built-in flash so that your pop up flash emits just enough light to trigger the off camera flash. 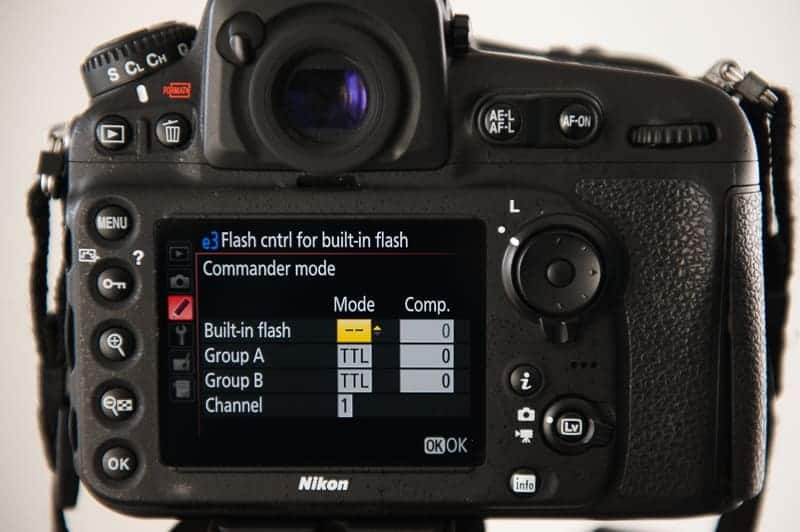 Comp stands for flash exposure compensation and should be set to 0, which is the default. At this stage, ignore the Group A and Group B settings, make sure that Channel is set to 1, which is the default. Now just concentrate on getting that flash off camera and set it to remote so that you can start playing. The advantage of radio transmitters over using the pop up flash in commander mode is that radio transmitters are more reliable as they are not as easily disturbed by bright sunlight. It doesn’t matter if something is between the transmitter and the flash and they can be used over a greater distance. 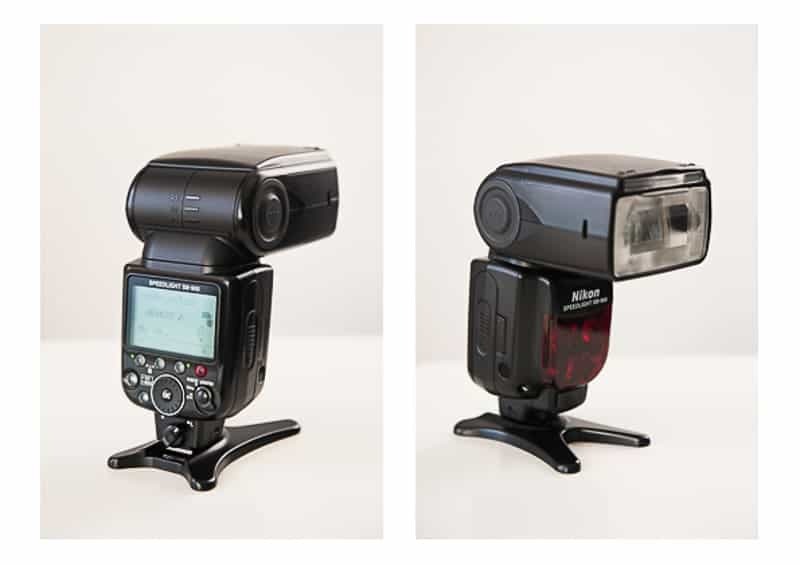 You simply attach the transmitter to the hotshoe of your camera and the receiver to your flash. I’ve found Pocket Wizards great, but they’re not the only brand of radio transmitters. The disadvantage of radio transmitters for triggering off camera flash is that using them in TTL mode (Through The Lens) is not necessarily an option, especially with the cheaper brands. If you’re using transmitters made by the same brand as your camera, however, TTL is possible. Here is a selection of the most popular options on the market, including budget and higher end options. Just make sure that you buy the correct one for your camera. Manufacturers make different versions suitable to the different camera brands. The product name will indicate if it is for a Nikon, for example, with an N in the name and Canon a C.
When I was still photographing weddings, I often used Pocket Wizards to fire two flashguns on lightstands on opposite sides of the dance floor during the first dance for beautifully backlit shots of the bride and groom. On other occasions my assistant held a flash with a Pocket Wizard attached on the opposite side of the newlyweds from me. I’ve also used my pop up flash in commander mode to trigger the flash on the opposite side of the dancefloor. 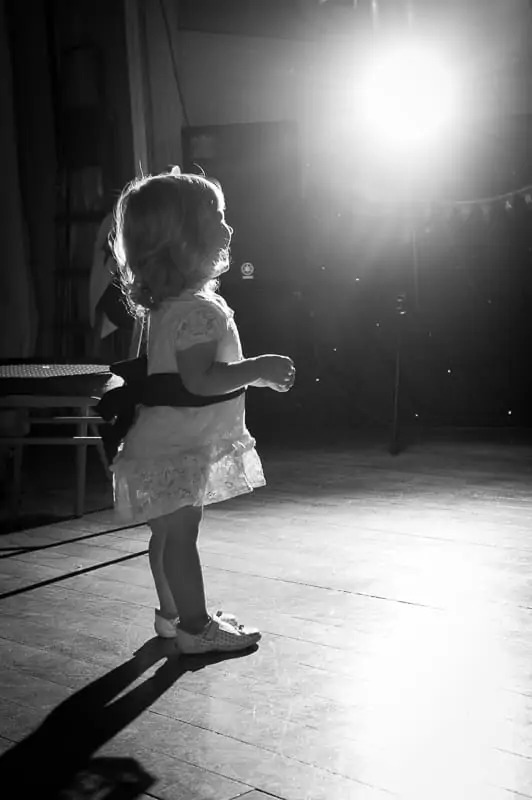 In the black and white image of the child towards the top of this article I’d set up my speedlight on a tripod and when she wandered onto the dance floor, I took the shot. You can see the flash of the speedlight in the shot. If you have a flash and haven’t yet tried off camera flash, give it a go. What’s the worst that can happen? If you have any questions about off camera flash, let us know in the comments. Also, we love good news, so if our off camera flash tips have helped you to give it a go, share that too. 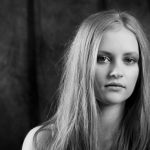 Will this photography tutorial help you with off camera flash?